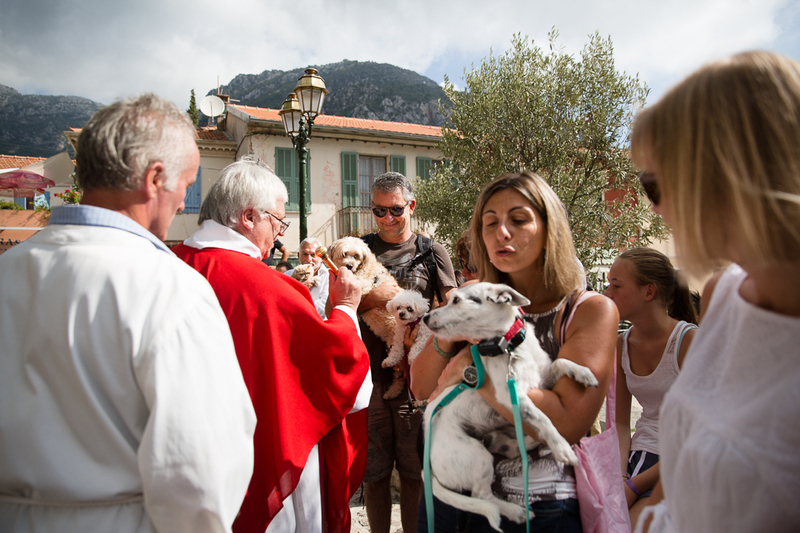 The Blessing of the Animals in Gorbio village. Looks like the Jack Russell has mistaken the aspergillum (in French goupillon) for a tasty bone! Bundles of cuteness, I see! Such a wonderful practice! I enjoy the photo.